KROS RADIO signed on the air on September 28, 1941 and has been on the air daily since that time. 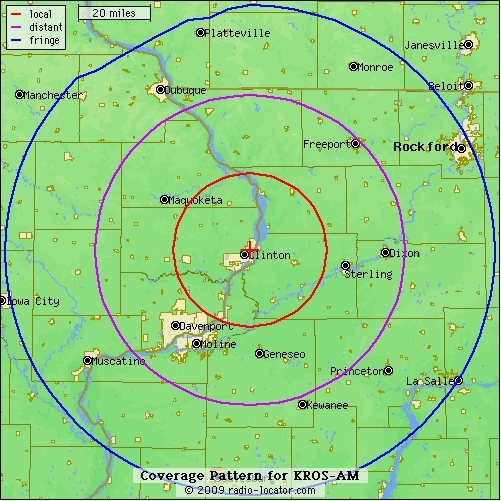 Many legal and technical changes have led to the move of more corporate ownership of radio stations across the country, but KROS RADIO has remained unique as a locally owned station. Local ownership helps the station remain committed to a local operation with a local emphasis in all facets of the operation and service to the community. The station started its operation on the second floor of the Jacobsen building including the broadcast antennae on the roof. After an ice storm knocked the antennae onto 5th Avenue South, a new tower location was selected on a hill on the edge of town that was promoted as the highest spot in Clinton County. 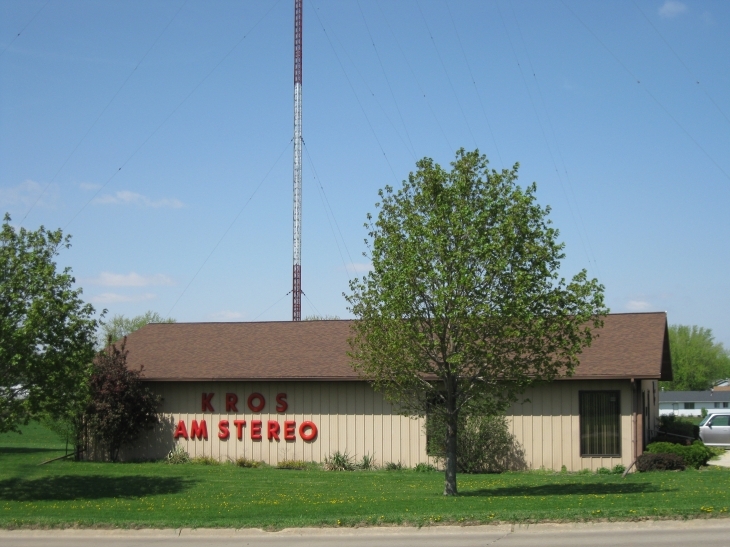 After several moves, a new studio was built at the tower site of 870 13th Avenue North in 1988 and that site remains the home of KROS RADIO. The current ownership of KROS RADIO lives and works in the community and area. The Parker family (Dave, Scott & Jeff) are the majority owners. They own and operate Lectronics in Clinton. Their father, Gerry, was one of the first engineers at the station and continued his involvement and ownership until his death in 1997. Brad Parker who was also a part owner passed away in 2015. Through various programming changes since 1941, a strong local emphasis has been the cornerstone of KROS RADIO. The news department has a long established tradition in the community for providing news and information to the public. That reputation was enhanced in the coverage of the floods in 1951, 1952 and 1965 and continues today with a priority being placed on the local news. Local sports are also a key part of the station. Since 1941, nearly every Clinton High School football and boys basketball game has been broadcast, as well as many other local and regional high school and college sports events. The operations of KROS would not be possible without the support of businesses in advertising and listeners keeping their radio tuned to 1340 AM KROS RADIO. Through the changes in radio, KROS has remained committed to be your TOTAL SOURCE for your news, weather, sports, entertainment and information. On November 12th, 2014 KROS returned to the FM band broadcasting on 105.9 FM with a translator K290CL that simulcasts with KROS AM.